Mitch Parson, the owner and founder of Sylvester Alexander, has over 30 years of experience in the residential and hospitality furniture industry. 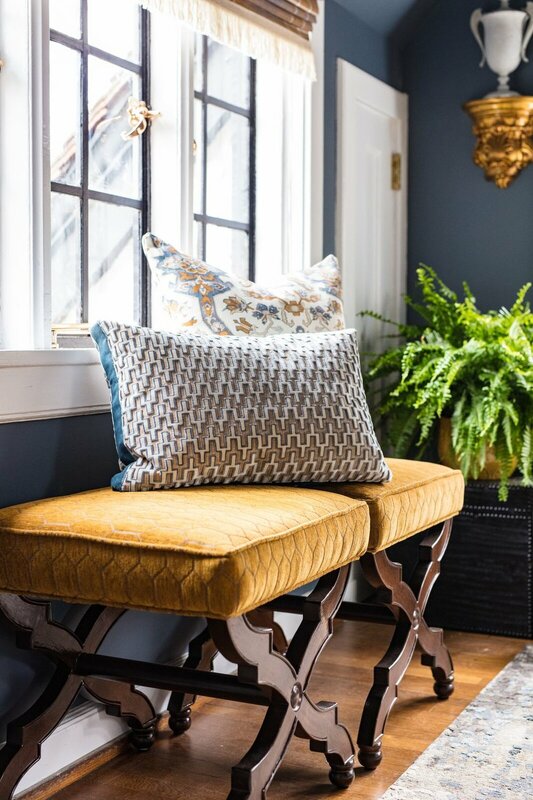 Mitch also owns Parson Interiors & Company and spent fifteen years there refining and learning skills to ultimately create a luxury line of upholstered furniture. In 2016, his dream became a reality and he launched Sylvester Alexander. Sylvester Alexander offers an infinite array of custom furniture. 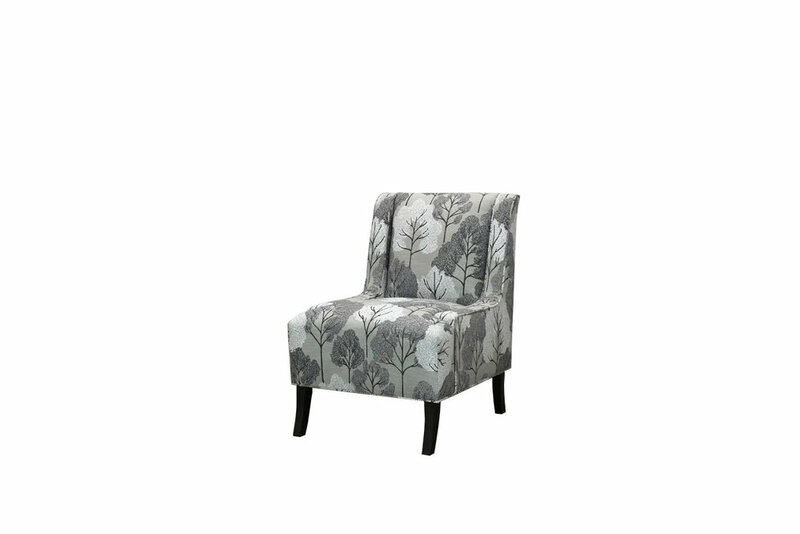 Fine upholstery furniture starts with quality and craftsmanship and Sylvester Alexander's furniture encompasses both! From the frame to the packaging, every detail is considered and inspected before it leaves their factory in Hickory, North Carolina. Sylvester Alexander sells to the trade and continues to grow their interior designer clientele because of their attention to quality and service. The Revolution team was introduced to Sylvester Alexander by our Design Ambassador, Cheryl Luckett, owner of Dwell by Cheryl. Being that Revolution and Sylvester Alexander are both family owned/operated and make their products in the United States, it made perfect sense to work together! 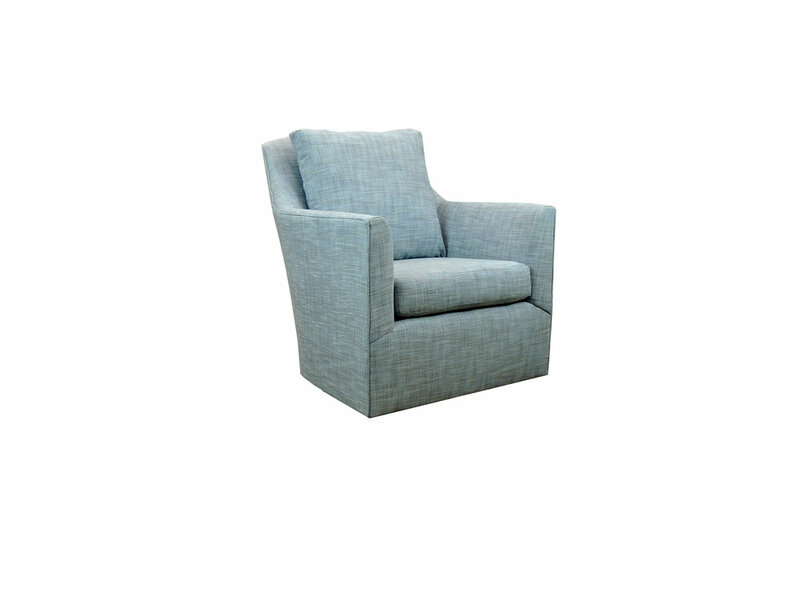 Sylvester Alexander uses a wide variety of fabrics, but love the quality and performance of Revolution. “Here at Sylvester Alexander we immediately connect our clients to Revolution. Most of our clientele base use Custom Order Materials (COM) and no other fabric vendor compares to the durability and cleanability of Revolution Fabric. In addition, Revolution is the only mill that produces such a high quality material without using chemicals. All I need to do is call Revolution and they will send my client their sample set immediately! 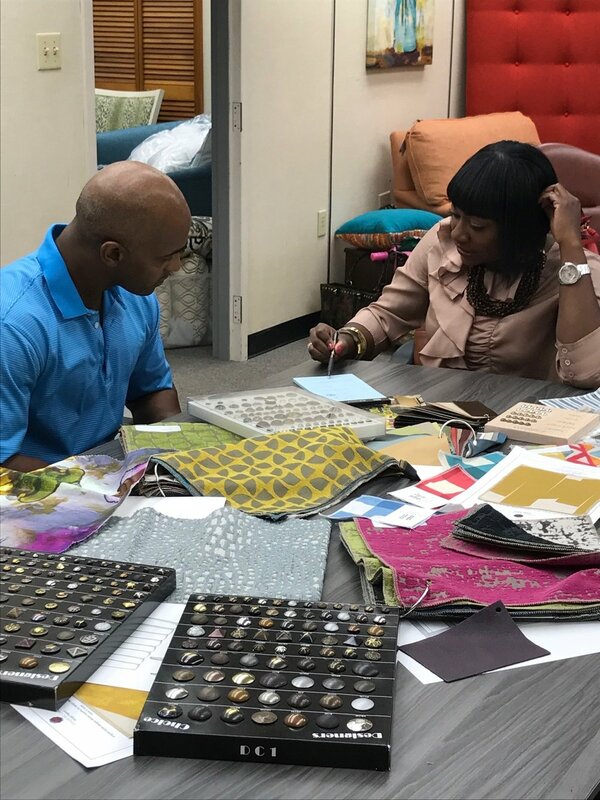 They also sell to the trade through their online store so interior designers also get a wonderful discount," said Stacie Clark, Director of Sales & Marketing at Sylvester Alexander. The Sylvester Alexander family is passionate about what they do and is committed to delivering a quality product to their valued customers. To learn more, please watch the video below! Above: Mitch Parsons looking over a new Sylvester Alexander frame. Above: Mitch Parsons and Cheryl Luckett discuss nail heads and fabric! Below: A slideshow of a selection of Sylvester Alexander furniture!